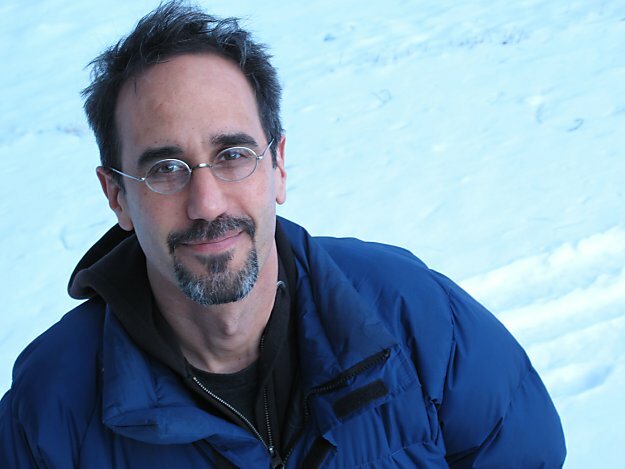 Paul La Farge is the author of four books: the novels The Artist of the Missing (FSG, 1999), Haussmann, or the Distinction (FSG, 2001), The Facts of Winter (McSweeney’s Books, 2005), a collection of imaginary dreams, and Luminous Airplanes (FSG, 2011). He is the recipient of a Guggenheim Fellowship, the Bard Fiction Prize, and fellowships from the New York Foundation for the Arts and the National Endowment for the Arts. He is currently working on luminousairplanes.com, a large web-based fiction. Despite having fallen ill, Paul takes some time to answer these questions about writing and his latest innovative literary endeavor, Luminous Airplanes, which came out in print form this September. The online component, which expands and complements the printed text, is a work-in-progress that will be updated as he completes it. Christine: Hypertext fiction is something I am severely undereducated on. Having studied with the fantastic Michael Joyce at Vassar, this is verging on criminal. But it is something that has been around for a little while now. I read that you prefer the term “immersive text” to hypertext because hypertext got a bit of a bad name in the ’90s. How did this happen and is there any distinction between the two terms besides connotation? Paul: My sense is that hypertext fiction didn’t take off in the 90s for two reasons. First of all, the technology wasn’t there yet: reading text on a screen was relatively unpleasant and most people weren’t in the habit of doing it. Second, the hypertext novel places some fairly steep demands on its maker: not only do you need a story which can hold the reader’s attention and which uses the form in a way that makes aesthetic sense; you also need to make an interface which facilitates whatever kind of reading you’re trying to encourage, or at least an interface which doesn’t actively interfere with the reader’s experience of the text. As for the name ‘immersive text,’ it came as you say from a desire to set this project off from the 1990s hypertexts, but it also references the scale of the project: Luminous Airplanes is a fairly large space, and you can get lost—immersed—in it. This is your first work of hypertext or “immersive text”. What draws you to hypertext in general, or inspired you to grow this specific story into an immersive text? To take the second part of your question first, the form of Luminous Airplanes makes sense to me because so much of the story is about what it was like to be in San Francisco during the dot-com boom, when there was this widespread optimism about new technologies and new media. From that point of view, the immersive text is almost a kind of nostalgia, a look back at a future which now belongs to the past. But at the same time it’s a form with tremendous capabilities, for which I feel a genuine non-nostalgic enthusiasm. The immersive text is a good way (I think) to represent what it’s like to follow the ramifications of a thought: you begin with one thing, an event, a memory, a concept, and you pursue different aspects of it down the branches of the text, as far as your knowledge or your interest allows you to go. The immersive text also a good way to represent the experience of being distracted, of having to choose between several things, all of which are making demands on your attention, which happens to me too often these days. Do you foresee an end to the online component of the book? Are you tempted to carry the project on, well, infinitely? There is certainly an end to what I think of as the ‘main’ story of Luminous Airplanes, the one that begins at the beginning of the novel—and which continues past the end of the novel into the immersive text. I haven’t written it yet, but I know what it is. And I think there will be an end to the immersive text’s digressions also, although it may not be a narrative end so much as the onset of exhaustion. But that’s not uninteresting to me. One of the things I’m secretly trying to do in the immersive text is to make a map of my own attentiveness, my own patience, and my own interest, all of which have their limits. How do you feel about the print version of the book? Seeing as it doesn’t include so much of what you envision of the story–do you see it as a bit of a trailer for the expansive, still-in-progress, immersive text online? Or do you see the physical copy as equally important? It was important for me that the print version of Luminous Airplanes stand on its own, and I hope it does. I see the whole project as transitional, intermediate: the product of a time when literary form and reading habits are in flux. We’re leaving the stable world of the codex behind, but whatever comes next is still coming; the digital form that works as well as the novel hasn’t imposed itself on us yet. So it makes sense to me that Luminous Airplanes is a book and an online project. It’s my effort—futile, probably—to bridge the gap. Where did your alter ego, Paul Poissel, come from? Were you nervous after the praise of your first book and wanted someone to share the blame with in case it was less well-received? (Which is was not at all). Were you just having fun? Ah, Poissel! His origins are shrouded in mystery. But I liked working with him: he was my native informant about Haussmann’s Paris, my bridge to the 19th century. Do you find that teaching creative writing has an impact on your writing? It has made me a much, much, much slower writer. Sometimes that’s frustrating, but sometimes I wonder if it doesn’t have advantages. I have become a better editor of my own work than I used to be. One day I may even learn to be patient. Are there other jobs you have held that have had a particular impact on your writing? I worked as a web designer for a while, which came in handy when I was making the immersive text. Before that I worked as a neurologist’s secretary in San Francisco. Mostly I just made copies and filled out forms, but now and then one of the patients would run away, and I would have to run after them and try to coax them back to the office. It’s not something I’ve ever written about, but it is sometimes how I think about writing: my thoughts run out of the room, hooting and twitching, and I have to chase them down and get them to come back. Last, but not least: why do you write? Honestly? It’s the only way I can even begin to reconcile myself to the fact that I’m only going to live for so long, and that time keeps passing.